Kinesio Tape - Kinesio Tex Tape is a super thin athletic tape, about the same thickness and the elasticity of skin and muscles. 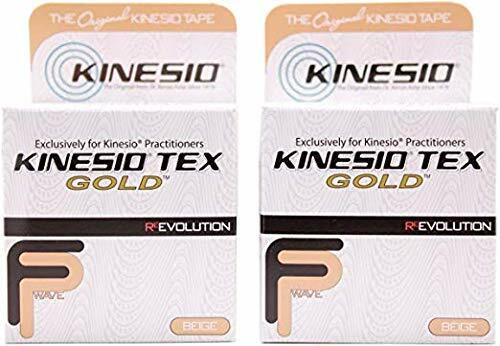 Kinesio Tape is made of a porous cotton fabric with a medical grade acrylic adhesive that allows the skin under the tape to breathe and be cleaned while showering. Kinesio Tape uses a special method of adhesive application combined with the porous nature of the fabric works 'with' your body. The Kinesio taping method provides a full range of motion, support, and stability, without adversely affecting the natural range of motion. 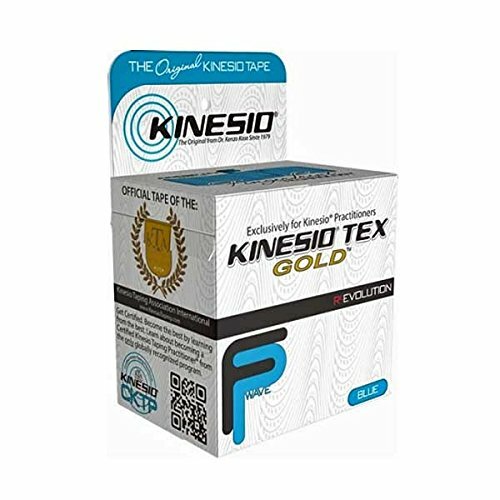 Kinesio tape is designed for a 30-40% longitudinal only stretch and when applied, it lifts the skin and provides support for surrounding soft tissue. This Kinesio Tape is LATEX FREE and NON-MEDICATED. Kinesio Tex Tape was designed to be worn for 3 to 4 days without irritation; and an hour after application it will withstand athletic activity and showering without coming off. The water resistant type of taping Kinesio offers is necessary for the taping of hands and feet. Proper application does not require multiple layers; due to location of muscles, an application may cross over another application.